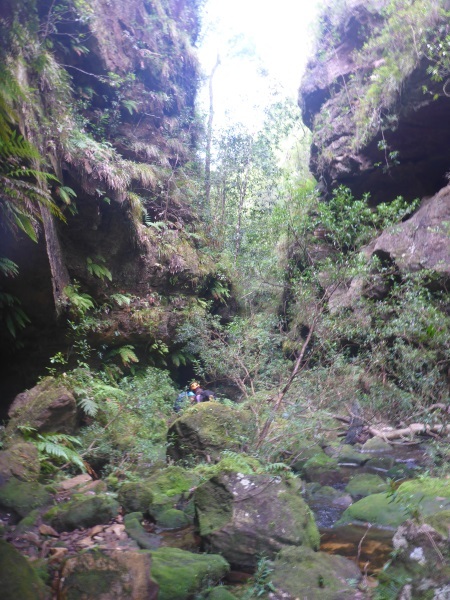 I’ve seen places in canyons (high up in creek systems) where people in the 70s or 80s had cultivated weed … chicken wire used to enclose a big flat area beside a creek (so that the native animals wouldn’t eat it I guess), but this operation was way beyond that! We didn’t see any of the “gardens” but the overhang used to dry it (in days gone by) suggests a considerable sized crop, not that I’d know (lol)! I had a published grid reference for the canyon and people who had done it before had said that it was a low grade canyon. I rarely accept other people’s reviews, they can be subjective and Anna and I wanted to check out the exit spur for another trip, so we decided to check out the canyon. Rod S and two of his co-workers Myriam B and Cecile R, joined us for the day. 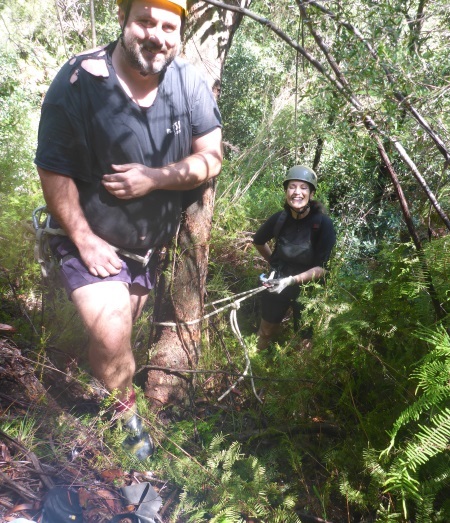 I didn’t find out till we were abseiling into the creek that both Cecile and Myriam were absolute beginners! 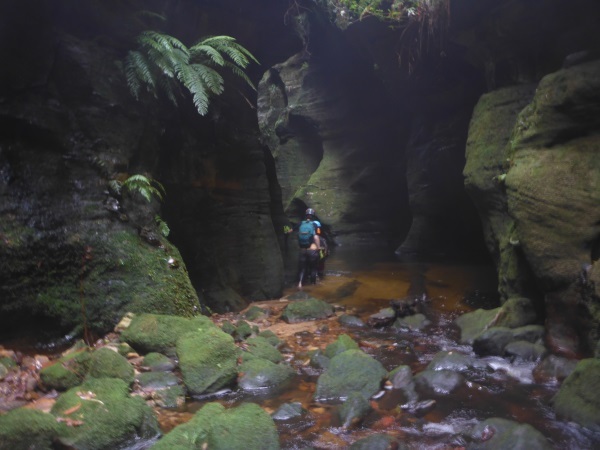 If I’d known that this would be the first Australian canyon for both Cecile and Myriam, AND their first off track adventure, I would have chosen something with more of a WOW factor, and a canyon that was less scratchy. Nevertheless, both Cecile and Myriam were good sports, they got the hang of abseiling pretty quickly and took to rock hopping like ducks take to water. I also had a blog disaster, left my camera behind in the car, thankfully Rod brought along his camera, so all photos credited to him! Anna, Cecile and Myriam watching me search frantically for my camera. A blog disaster! Myriam on the first abseil. Rod belaying everyone … well all that was left was Anna and she doesn’t need a belay. 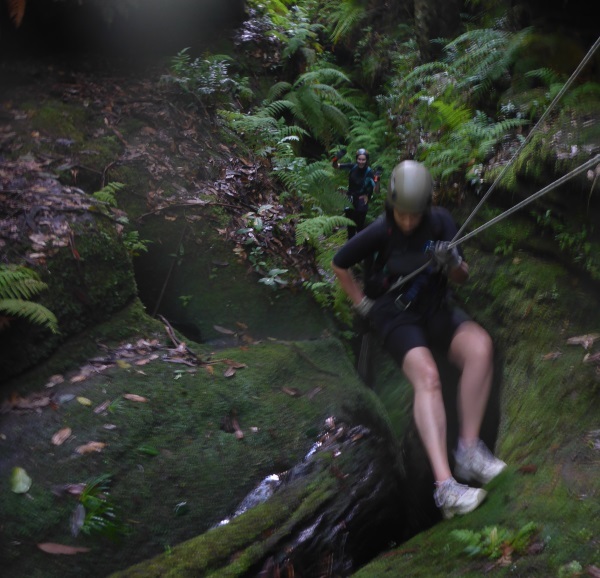 This abseil landed right beside a massive overhang. The floor of the overhang had had a retaining wall built, and the floor flattened out. There were long (maybe 5m) dead saplings laying around and I’m assuming these were used as drying racks for the weed. Myriam at the second abseil. 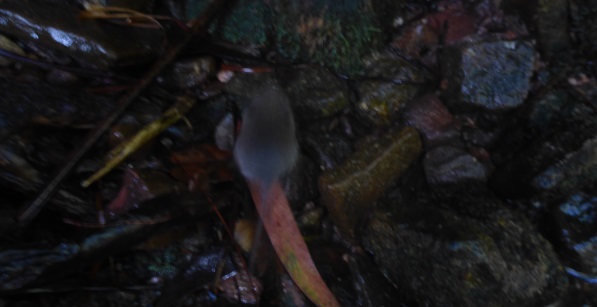 The second abseil ended at an overhang at the side of the creek, we stopped here for morning tea and a cute little mouse-like animal visited us, wasn’t at all put off by us being there. In the creek now, it’s a bit scrubby but not too bad. 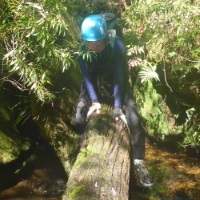 The girls had their first go at getting across a log without getting your feet wet. Another way of doing it! 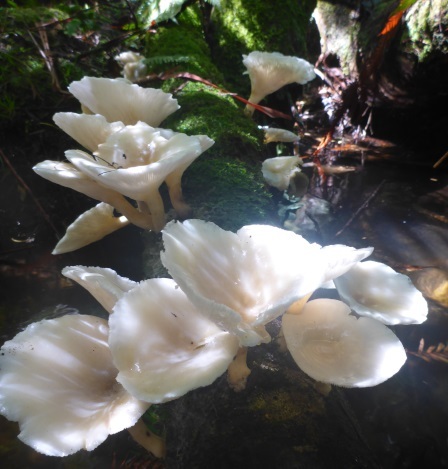 We came across this excellent example of fungi growing on a mossy log. 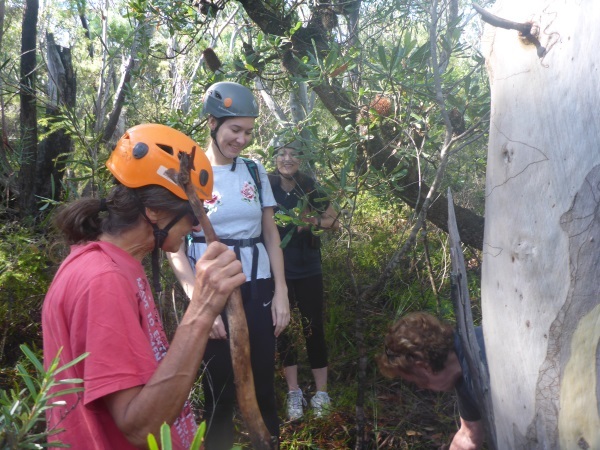 Myriam on the third (7m) abseil, with Cecile looking on. 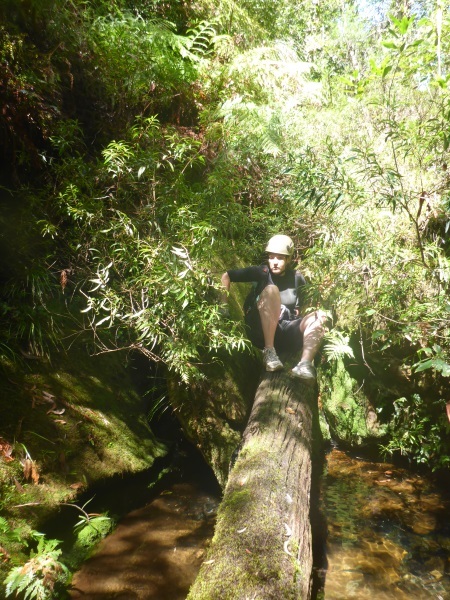 This could probably have been down climbed, but was safer with two inexperienced people to go the abseil route. The creek then became more open and more scrub, by now we’re close to the end of the creek, approaching South Bowen. In South Bowen now and there were lots of boulders to negotiate. 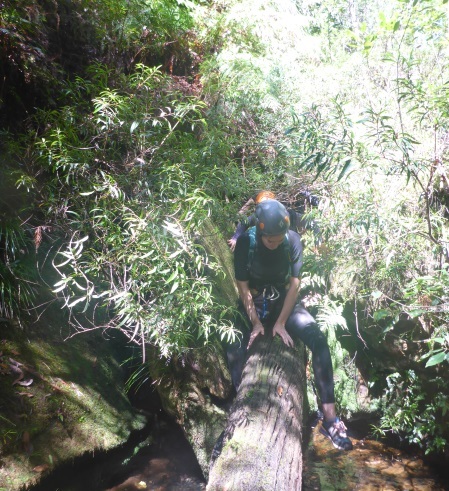 This one had a pool below it that we didn’t want to fall in so we negotiated around it, very slippery dismount. Lots of really nice canyon sections. And quite a few more swims than I remembered when I’d walked upstream in this canyon 12 months ago. And the water in the pools steadily felt colder – or was it us that were getting cold! 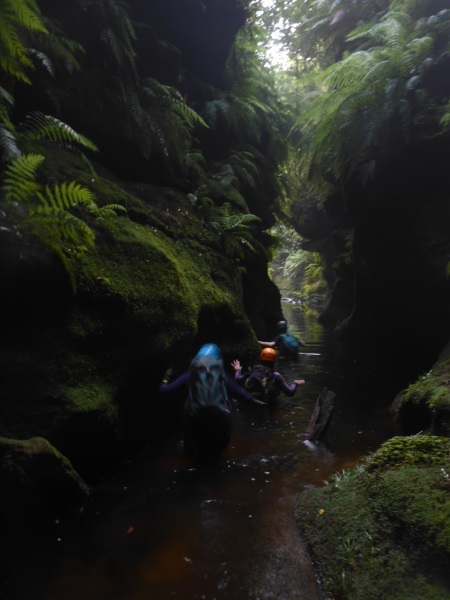 The best part of the canyon trip was actually the section of South Bowen downstream of the traditional South Bowen exit route. We eventually arrived at a convenient spur and simply headed up-hill. 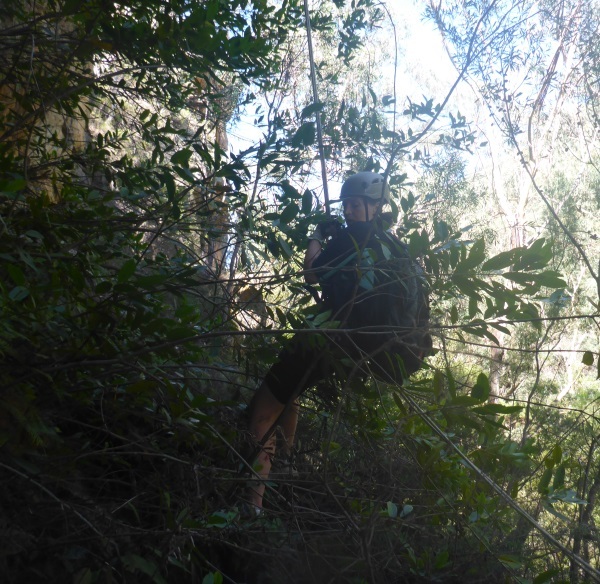 The first few hundred meters were fine, but then we started encountering small climbs, for some of them we used a rope. Just when we thought we were getting close to the fire trail, we came to a saddle and we were on top of a pagoda. It was late in the day so rather than hunt around for a way down, we abseiled, then started up the hill on the other side, which kept on going, and going, and going. And, then it started raining! Finally, we hit the fire trail and it was a 20min walk back to the cars. We took our time through the canyons and on the up hill exit, so it ended up being an 8-hour day (am sure we could shave an hour or two off that if we could be bothered going back!). This canyon doesn’t have a great deal to warrant a repeat visit, other than there being a lot of rubbish where they apparently dried the weed. Anna and I plan to go back in the not too distant future and remove the rubbish (and maybe find the plantation sites which we didn’t see on this trip). 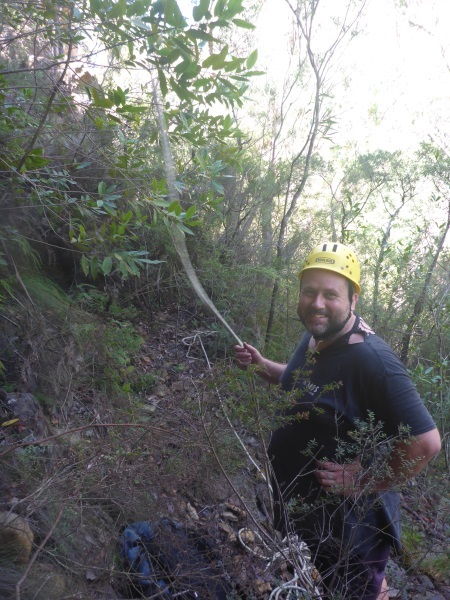 We did two 12m abseils to get into the creek, if we’d entered the creek system further upstream we probably could have avoided them. Thanks Anna and Rod for assisting me in the canyon and congratulations to Cecile and Myriam, you were real troupers and we promise to take you into a nicer, easier canyon with a track next time. 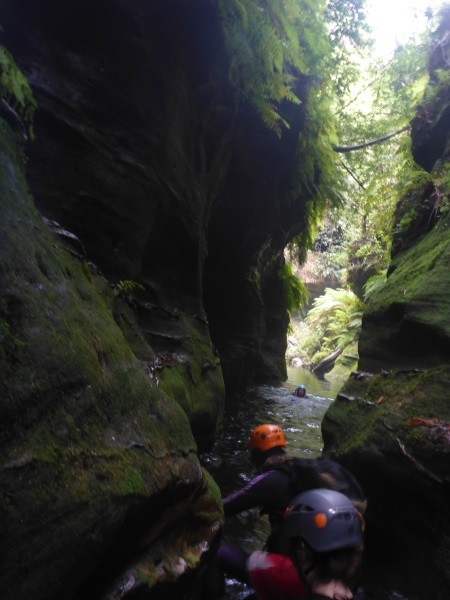 This entry was posted in Canyoning, MSS. Bookmark the permalink.